Our home should be our happy place. It’s the place where we should be fully comfortable and where we can be surrounded by the things and people we love. 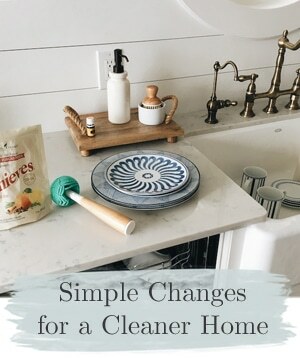 But when the surfaces in our home become too cluttered, we can’t enjoy them, or we aren’t sure how to display the things we love in a way that might inspire us every day. While empty surfaces in some cases can be a relief to the eye in a cluttered house, you can still display what you love without adding to the clutter. I normally don’t like to give too many do’s and don’ts or rigid rules for decorating (since it is your home, after all!) sometimes a few guidelines are helpful to achieve the results you want. 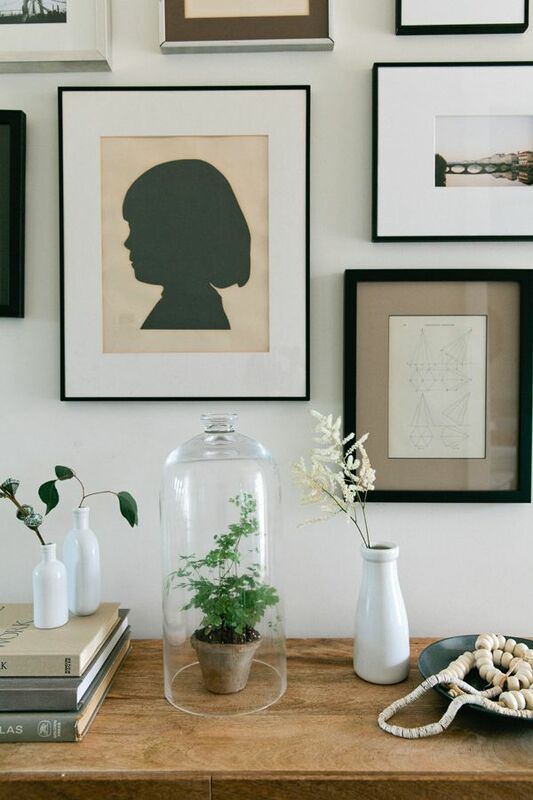 Select a statement piece for your vignette. Add something that is eye catching in some way so your eye will know where to look (such as a great shape, a pop of color or even repeated colors or patterns, or something oversized and unexpected). Add a piece that sparks conversation or commands attention, such as an oversized clock, a large letter, or an intriguing and unique work of art. Your vignette can tell an interesting story through a unique mix and variation of materials, but just because you happen to own a lot of cute things doesn’t mean if they are all set in one spot they will work together in a pleasing way. It might just feel like clutter if it doesn’t have one special statement piece or a unifying color scheme that can can pull it all together. Show off pretty things you use everyday in an artful way, that’s the best way to make a statement! 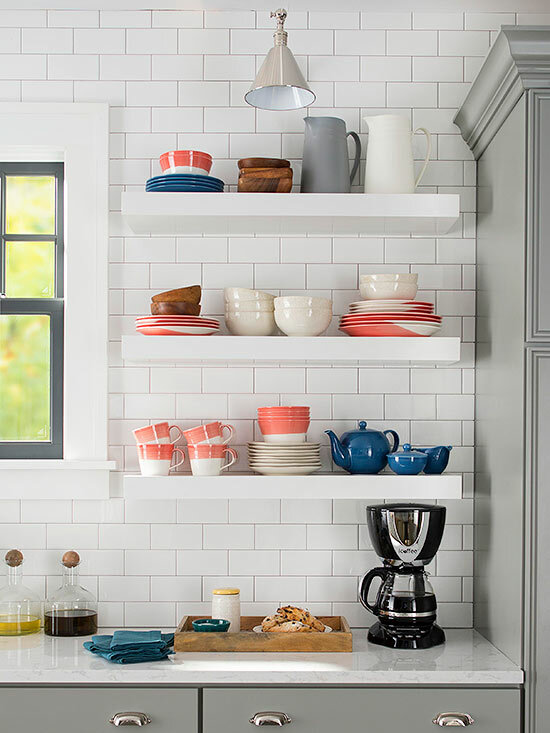 Shelves can hold your favorite mugs, console tables can hold a favorite collection of vases and kitchen counters can hold a beautiful arrangement of wooden spoons ready to be used. If you are setting up a vignette on a console table or mantel, layer your items front to back from the wall and use varied heights to make the composition more interesting. Your eyes will be very happy if you repeat a color several times in a composition. 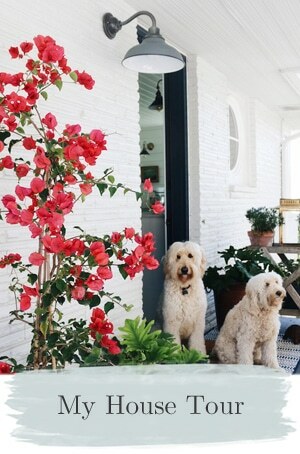 A vignette should be practical for day-to-day living. If you are draping, teetering, stacking and layering items that are likely to fall down or even trip you if you walk past too briskly, it’s time to rethink the purpose of styling. I feel that any styling in a home should make sense and be enjoyable for the people who live there, rather than feel like just an assorted product display in a store. Styling in a home should be about creating spaces that are pleasing to our own eye, but for the purpose of enjoying what we have and use everyday. Each piece should be a welcome and pleasing addition without appearing risky or dangerous if you were to reach out to pick up one of the pieces. A vignette won’t feel natural or comfortable if you sense something might fall over or trip you if you actually wanted to pick up or use anything in the vignette. 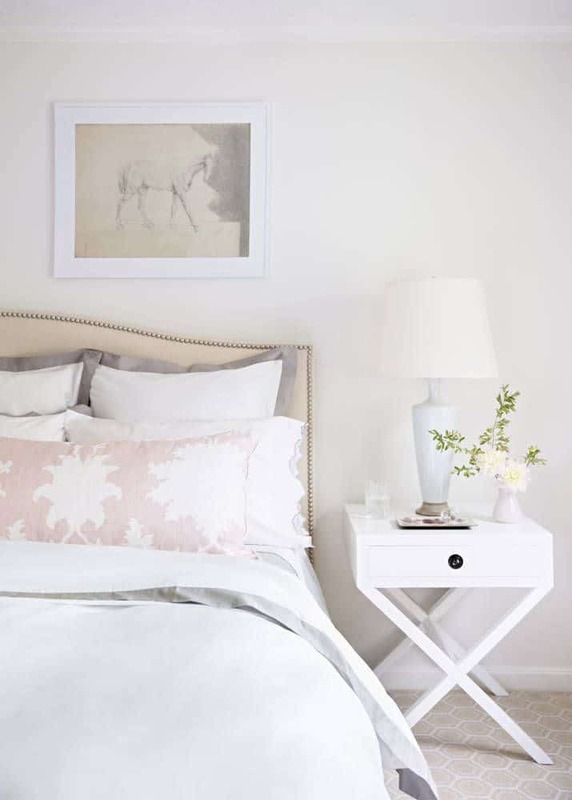 There is a time and a place for more “staged” styling, but in real life we don’t want to trip on blankets puddled artfully on the floor or knock over a whole shelf of precariously stacked dishes when we reach for a cup. It’s also helpful to think about the purpose of your surfaces. 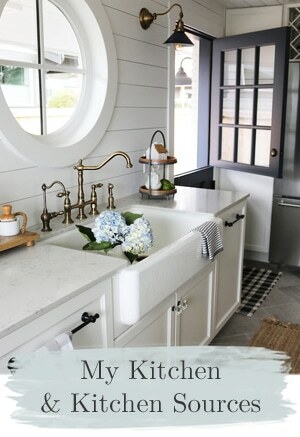 If it is a surface you need to use, like your counters or island in a kitchen, you might want to have less stuff on them so you have more space to work. Include just a few practical things you use, but make sure they contribute to the homey feel of the space and don’t just add unnecessary clutter. If it is a surface you don’t use for anything (like an open shelf), enjoy styling it! While everyone will have their own preferences on style, I prefer vignettes that seem to be more naturally created from living in a home. 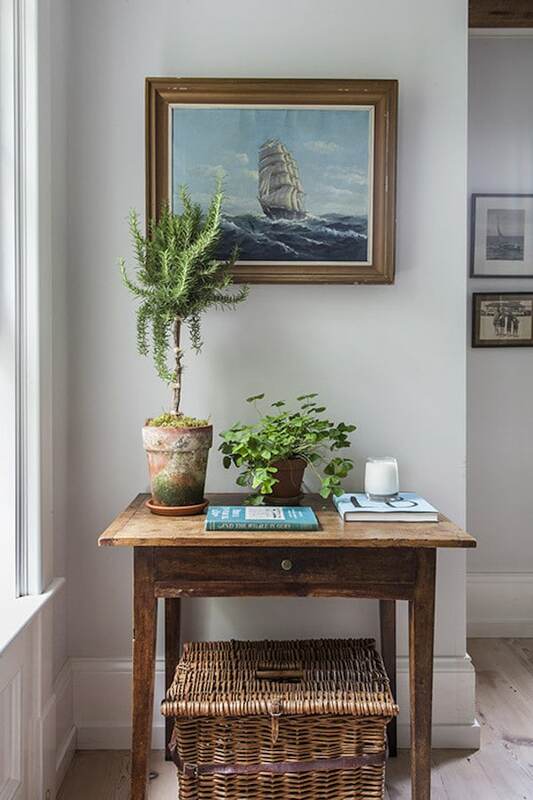 I love to see a vignette where things the owner loves were pulled together simply and effortlessly because they are items that are really used or enjoyed. I think a natural more effortless look is great because if you really use what you have and enjoy your home in all seasons, a vignette will evolve as you live in the space. You might set down a pretty hardback book on a table or a white pitcher on a shelf after using it and it will look lovely effortlessly, even if it isn’t a perfect composition. You will put things you don’t enjoy seeing away in a drawer, because you love puttering around your house and only keeping out what you really love. You can create pretty vignettes from pretty things you love and enjoy and mix and match them around the house as your mood strikes. The most interesting vignettes to me have something about them that isn’t perfect because they feel real and authentic. Select items for your vignette that hold their own and speak for themselves, not items that need a lot of fussing and primping to make them work. Imperfections in the arrangement or spacing or even in the items selected for the grouping will help keep things effortless and real. Once you set up your tabletop vignette, take away a few items and see if you like it even better. Usually less is more. Try for commonality in several items, repetition will be pleasing if you have several items to display. 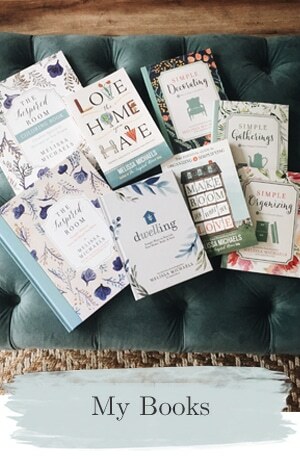 When in doubt, you can’t go wrong with simple collections in a common theme, such as a collection of blue bottles or a stack of colorful books. Look around for items you already have that could be used in a fresh way. While shopping for new accessories each season can be fun, eventually you’ll end up with too many seasonal items to store. Think about what you already have that could be refreshed and used in several seasons. Plants or natural items add an organic and seasonal touch that is always stylish and never fussy. Think about colors and patterns that can be mixed in and enjoyed no matter what the season is! 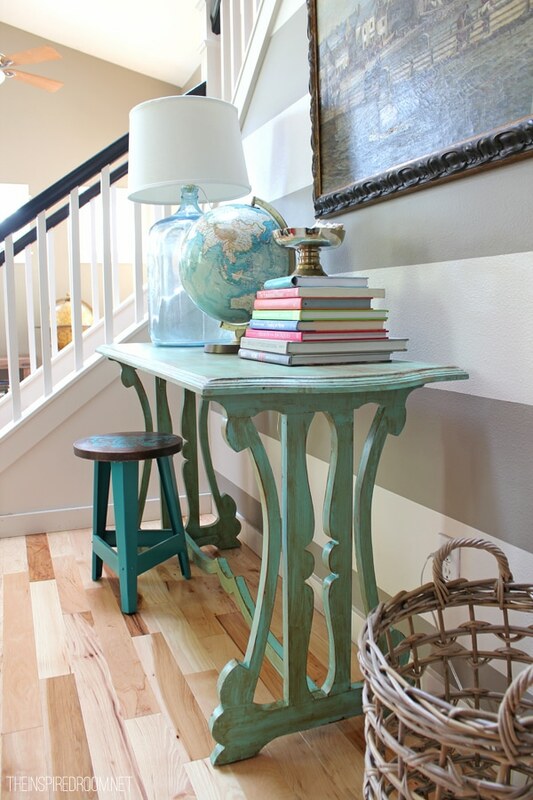 Enjoy puttering around your house and styling your tables in a way that will inspire you everyday! 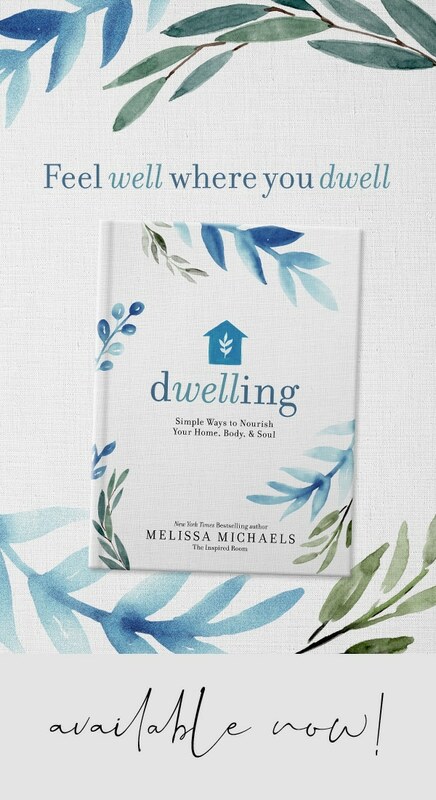 For more ways to streamline your home and create the sanctuary you crave, check out my books here. This is a very timely article for me! Thank you. I also need help with designing the shelves in by bookcases. I cannot seem to get it right. I’ve taken off book jackets only to find black books under them ?. I have frames and knick knacks, etc., but it does not do justice to the beautiful furniture they are! I can vignette the heck out of my side of the coffee table but my husband’s end will always be a sloppy pile. I do try to keep his piles in baskets but they promptly fill up and are never emptied again … and the pile spreads out from there. I love him so I’m keeping him and I”lll just admire tidy coffee tables in other people’s houses. Lovely post. My favorite part of decorating is “working the smalls”. I do have a lot of stuff, and know that it has to be displayed artfully for me to truly enjoy it all, but never all at once. For those who have trouble with this type of styling, like Andrea, I suggest you find a picture in a magazine of a bookshelf and try copying the picture. You won’t have the exact same items but you can mimic what you see by shopping your own home for things with similar color, style, scale and might surprise yourself at how well it turns out. I suggested this to a friend who has difficulty in this area and she was so pleased with the results it gave her the confidence to do other areas of her home with good results. Thank you for sharing the articles. Right now I am studying our home and see what needs to be done from there. Can’t wait to get your book soon. Thank you for putting together so many lovely (useful and doable) ideas. Finally I’ve somewhere to begin with my own home decorating. Perfect timing! 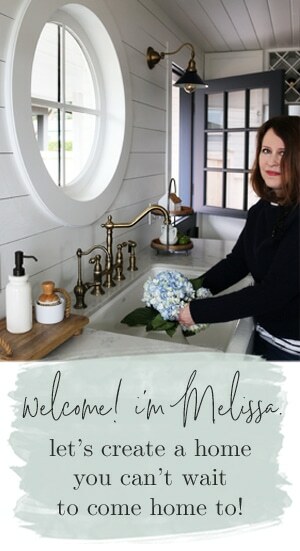 I’ve been wanting to freshen up the house for the holidays and the ideas and photos here were fab! Wonderful post! I’ve been using number 4 & 5 so often in the last few months. Sometimes using accessories you already own in new ways or areas of the home, it feels so refreshing! I especially like that you suggested implementing natural elements. A small plant always brightens my mood! First and foremost, your lovely book, The Inspired Room, has arrived today. This will be my reading later this afternoon, along with a cup of tea and a shortbread biscuit. I love all these vignettes, as you refer to them. I still think of them as tablescapes even though some aren’t, of course, actually concerned with tables (i.e. the kitchen shelves.) It’s lovely to mix size, texture and colour to make a harmonious whole, isn’t it? I now feel inspired to re-think the tablescapes in our home for the autumn/winter (that means a footle around in what I refer to as my Resources Cupboard – every home should have one of those – where, in a series of large boxes, I keep things which I can chop and change around. Now is the time to put the summer things away and get out the treen and copper lustre jugs. Thank you for these great tips! I’m in love with the bedroom in the photo, it looks so serene. Vignettes give you a chance to make your home look lived in without accumulating clutter. To do this, it’s important to remember that it’s the little things that matter. For instance, a book or two that have been placed on a coffee table can really make a home look more comfortable, but in a controlled way.